New York, London and Paris will be put on the map at the stand of Daniel Crouch Rare Books in the new year at the Winter Antiques Show in Park Avenue Armory in New York. 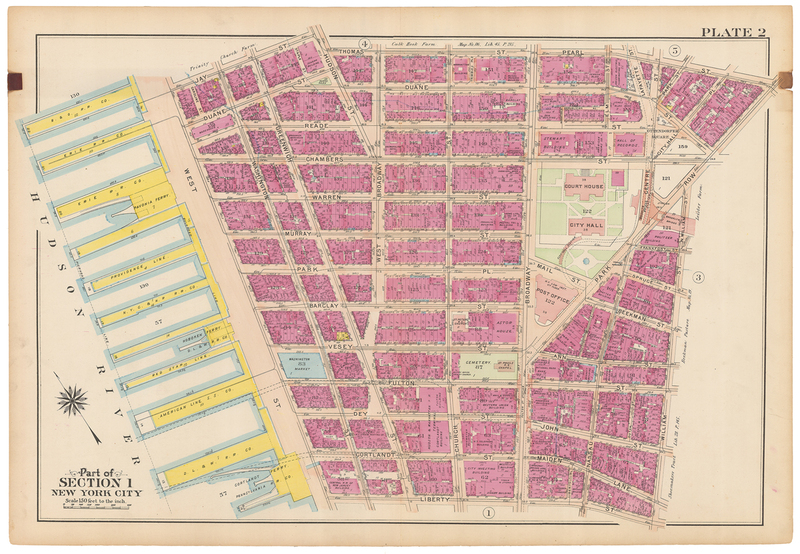 Four significant maps are on offer, including this huge 25ft (7.6m) wide ‘Atlas of the City of New York – Borough of Manhattan’. The 1908 fire insurance map by George and Walter Bromley comprises 38 individually framed sheets. It includes outlines of buildings, street names, sidewalk widths, number of stories, basements and natural features such as rivers. It also shows the composition of buildings by listing materials such as brick, stone, iron and wood in their descriptions. The map is being offered at $250,000. 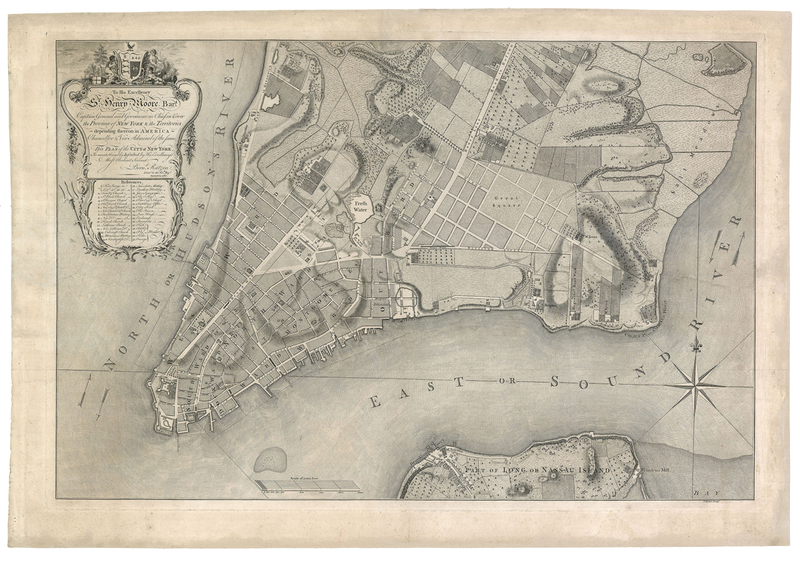 Keeping with the New York theme, the dealership is also offering Bernard Ratzer’s 1776 ‘Plan of New York’, showing the southern end of Manhattan island. 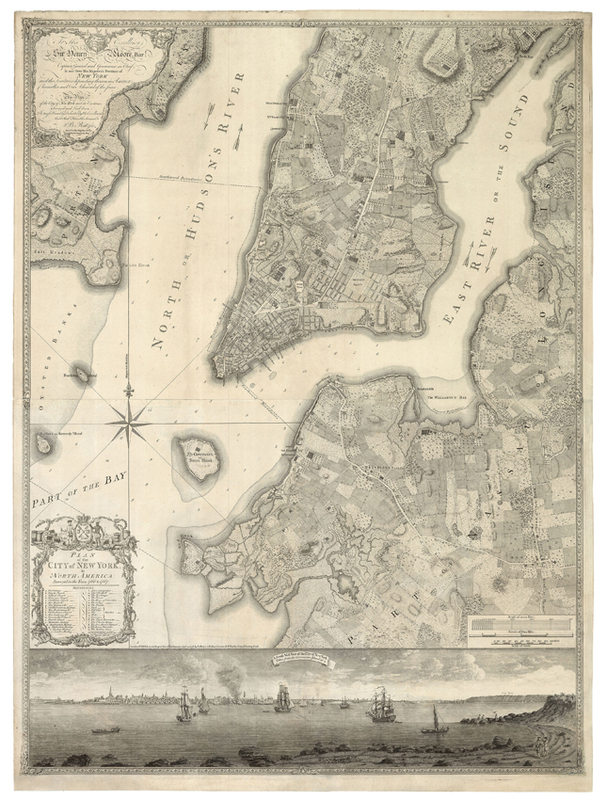 At the time the map was produced there were about 25,000 people living in the city which was surrounded by marshy areas of New Jersey and Brooklyn along the East River. Joining this later map on the stand is Ratzer’s 1769 plan, offered at $50,000, which has less detail than the later 1776 production which has an asking price of $275,000. For those who are keener on London, another fire insurance map on the gallery’s stand is Richard Horwood’s 1799 map of London. 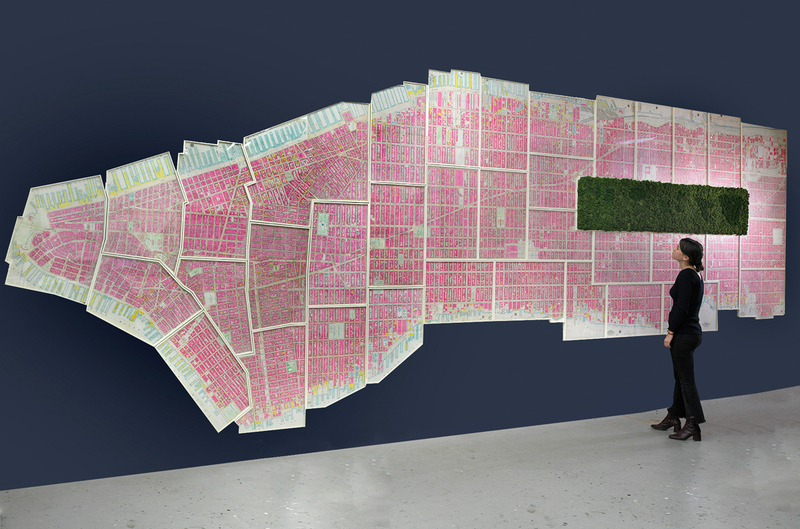 Noted to be the largest printed map in Georgian Britain, it charts the entire city of London, Westminster and Borough of Southwark. It was produced for insurance firm Phoenix Fire Office, for whom it is understood Horwood worked. It is offered at $55,000. The tour of cities would not be complete without Paris. 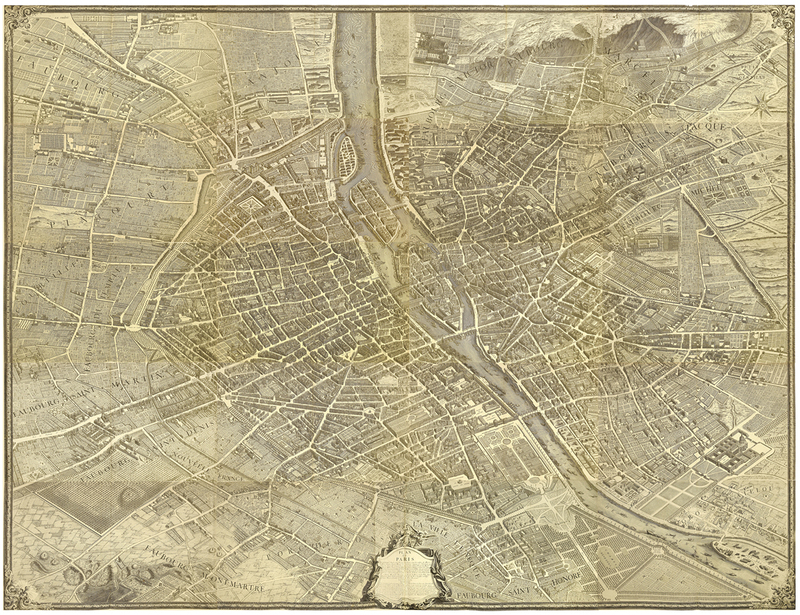 Michel-Étienne Turgot’s ‘Plan de Paris’ (1739) is a birds-eye view of the French city during the reign of Louis XV. Turgot was the Mayor of Paris from 1690-1751 and aimed to promote the city’s reputation through the creation of a comprehensive city plan. It took two years to complete, and once published, prints were offered to the king and other important officials. Daniel Crouch is offering it at $27,000.